Democratic Governor Jerry Brown was re-elected to an unprecedented fourth term Tuesday, easily defeating Republican Neel Kashkari. Brown received 61.2 percent of the vote to 38.8 percent for Kashkari, with vote-by-mail ballots and 0.7 percent of the state’s precincts partially or fully counted, according to figures released by the Secretary of State’s Office. Kashkari conceded shortly after 8 p.m. on Tuesday in front of a crowd of supporters. Brown did little campaigning on behalf of his re-election, concentrating instead on trying to win passage of Propositions 1 and 2, the water bond and “rainy day” measures on Tuesday’s ballot. 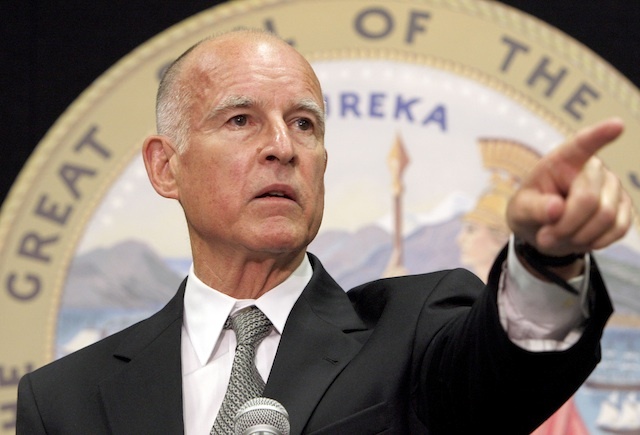 Brown discussed California’s improved economy, reduced unemployment and increased spending for education since he returned to the governor’s office in 2011. His campaign website touted Brown’s efforts to reduce the state government’s debt, improve its credit rating and protect funding for education and public safety. This was the seventh time Brown has run for statewide office. He has lost just once, falling to Pete Wilson in a 1982 bid for a U.S. Senate seat. Brown was first elected governor in 1974 when Kashkari was 15 months old. Brown’s first two terms as governor did not fall under California’s term limits law, which was approved by voters in 1990 and only covered elections from that point. Only one other California governor, Earl Warren, was elected to three terms. Brown’s father Edmund G. (Pat) Brown Sr. sought a third term in 1966, but was defeated by Ronald Reagan. Kashkari is a former Treasury Department official who was making his first run for office. He focused his campaign on creating jobs and improving education, recently emphasizing the lawsuit seeking to overturn state laws governing teacher tenure and layoffs, criticizing Brown for appealing the ruling that found those laws unconstitutional. Brown has long defended the project, claiming it will create jobs, transform the Central Valley and be cheaper in the long run than building or improving highways and airports. The son of immigrants from India, Kashkari was raised in the Akron, Ohio, suburb of Stow and received bachelor’s and master’s degrees from the University of Illinois. He moved to California in 1998 and worked as a design engineer at TRW in Redondo Beach, developing technology for NASA space missions. Kashkari returned to college and received an MBA from the Wharton School at the University of Pennsylvania in 2002, then worked in the San Francisco office of the investment bank Goldman Sachs, eventually leading its information technology security practice. Then-Secretary of the Treasury Hank Paulson hired Kashkari in 2006 as a special assistant on energy policy. He was appointed by then-President George W. Bush in 2007 as assistant secretary of the Treasury for international economics and development. Kashkari was among several Paulson aides who wrote the legislation that created TARP, then oversaw it as interim assistant secretary of the Treasury for financial stability, a position he filled during the initial months of the Obama administration. Following his government service, Kashkari worked for the Newport Beach- based global investment management firm PIMCO, resigning last year to explore running for governor.